ON Oct 29, Prime Minister Datuk Seri Abdullah Ahmad Badawi hosted a dinner for about 600 delegates of the 14th Malaysian Law Conference. In her welcoming speech, president of the Malaysian Bar, Ambiga Sreenevasan, said: “The Bar extends to the prime minister the honour and friendship you have extended us. When you Mr Prime Minister declared war on corruption, the Bar was with you. When you opened up the democratic space and asked civil society to be your eyes and ears, the Bar was with you. When you said it is important to make sure that justice is at all times maintained, the bar was with you. When you said corruption undermines development by compromising the rule of law and weakening the institutional foundations upon which economic growth depends, the Bar was with you. “If we are to encourage foreign investment, the rule of law and a strong judiciary are critical. What drives the Bar ultimately is the cause of justice. We want to see the scourge of corruption eradicated from our midst. We want to see truth triumph over falsehood, justice over injustice, integrity over dishonesty. What we want is what you want, Mr Prime Minister. In the introduction to his reply, the prime minister said: “I must apologise to you and I am very embarrassed that I am your host for tonight’s dinner and yet I am late and I kept you waiting despite the fact that I rushed all the way from Kelantan to keep this date with you — our first date. I was in Terengganu in the morning and Kelantan in the afternoon to launch the East Coast Development Corridor and tomorrow I will be in Kuantan early in the morning. Then two days later on Nov 1, the prime minister announced the retirement of the former chief justice Tun Ahmad Fairuz Sheikh Abdul Halim and the appointment of Datuk Abdul Hamid Mohamad as the acting chief justice. Hamid was appointed chief justice on Dec 5. On Nov 16, the prime minister also announced the setting up of a royal commission of inquiry on the controversial Lingam video clip. 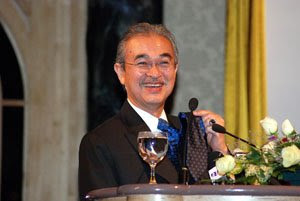 Then on Nov 22, the Bar held its extraordinary general meeting (EGM) and unanimously passed a resolution calling for wide terms of reference for the royal commission, including “investigating and making recommendations for judicial reform and on any aspect of the administration of justice in Malaysia". The Bar would like to think that the prime minister is listening to its calls since their “first date” on Oct 29. In fact, one must honestly acknowledge that things would have been different if the Abdullah administration was not in government. The Bar’s Nov 22 EGM could also possibly have been stopped by a court injunction. As a responsible professional and apolitical body, the Bar will give credit where it is due. It will trust that the prime minister will seize this opportunity to reform the judiciary and restore public confidence in this institution which has been eroded since the 1988 judicial crisis. If the Bar can engage the non-governmental organisations and civil society on various issues, all the more so it will have to engage the government. It does not subscribe to the view that to be popular, it is trendy to be anti-establishment. It follows that when the Bar Council decided to cancel the Human Rights Day Walk, planned for today in conjunction with the International Human Rights Day tomorrow, the Bar Council has acted responsibly, taking into account “the present circumstances that surround this event, particularly the interests of the public and the Malaysian Bar". Contrary to what some may say, the walk was called off obviously not because of undue pressure from the authorities. The history of the Bar speaks for itself, in that the Bar is always intrepid to further the cause of justice without regard to its interests or that of its members, uninfluenced by fear or favour. The decision not to walk was one which council members spent days debating. In arriving at it, the council considered two opposing views rationally and thoroughly. It was ventilated that Section 27(2) of the Police Act 1967, which gives the district police chief discretion to approve the application for a licence to convene an assembly if “it is not likely to be prejudicial to the interest of the security of Malaysia” is unjustified and against human rights principles. Suhakam as well as the Royal Commission to Enhance the Operation and Management of the Royal Malaysian Police have expressed their opinion that this section may be challenged as unconstitutional. It was also argued that even though many, including opposition parties, have applied for a permit, applications to the police have been frequently turned down and appeals have also been to no avail. By the time the matter is taken to court, the purpose of the application would be academic. Further, Suhakam has opined that lack of definition of the phrase “prejudice to the interest of the security of Malaysia” effectively negates the right to the freedom of assembly enshrined in Article 10 of the Constitution. Similarly, the authorities have often interpreted the provision to frustrate or deny such rights. In addition, as Section 27(2) is couched in the negative, that is, it assumes that assemblies are not permitted unless it is shown, or that the police are satisfied, that the assembly is not likely to be prejudicial to the security of Malaysia, this has shifted the presumption of a constitutional right in a substantive manner such as to be contrary to the purport and intent of Article 10. Most of all, it was strongly argued that to apply for a police permit would be inconsistent with the stand which the Bar has publicly taken on numerous occasions — that no permit should be applied for and the law ought to be repealed, the most recent example being the Sept 26 Walk for Justice. It was also persuasively argued that we are on the cusp of real change and the Bar is at the forefront of this, and that people are looking to the Bar to lead the way. Not to walk, it was argued, would therefore be a disservice to many and would affect the credibility of the Bar. However, the majority of council members felt otherwise and that the Sept 26 walk was an exception. It was an extraordinary walk for an extraordinary cause, and it was an act of civil disobedience which was absolutely necessary and the Bar would not hesitate to repeat it if severity and magnitude of the cause justify it. That said, the walk today is only a celebratory walk. It is not a case which warrants an act of civil disobedience. Regrettably, it has also been politicised and the council had to take into account the tension created by the latest Hindraf rally just in case the walk is used as a shield or pretext by some parties to turn it into a protest rally. In fact, without the knowledge of the council, its Human Rights Committee, then chaired by Cecil Rajendra, did apply and obtain a police permit for the last two annual Festival of Rights walks. It was also strongly put forward that the Bar should uphold the rule of law. Fidelity to law is pivotal to a democratic society; otherwise it will lead to anarchy. Until and unless Section 27 has been declared unconstitutional, it is still a valid law passed by a democratically- elected government. If one can disobey a law just because he feels it is unjust, then there is no end to it, including affording our members a natural right to disobey rules made by the council because they feel that such rules are unfair and unjust. However, it is the safety of women and children who may take part in the walk which is of paramount importance. With the existence of a proviso to Article 10 of the Federal Constitution, this constitutional right may not be an absolute right. While recognising the freedom of one group to assemble peaceably, we must also recognise the freedom of the rest of society to have quiet enjoyment of life and property. As the event is organised by the Bar Council, it is also mindful of possible suits that may lie against the Malaysian Bar for any personal injury or damage to property. Weighing the pros and cons of this issue, the council then decided to cancel the walk. We do not observe Human Rights Day just by looking at a person’s right to assemble peaceably when he should have a greater right to live in peace. The council is confident that its decision will have the support of our members and Malaysians. When we walked on Sept 26, lawyers were branded as crazy and pro-opposition. We have to accept that our decision to cancel the walk today may now be criticised by civil society and some human rights groups. But this only goes to show the independence of the Bar Council whose members will not be afraid to make any decision no matter how unpopular it is if we think it is the right thing to do in the best interests of the Bar and the country.